Just because you know the basics of EFT doesn’t mean that you can use it effectively when tapping on your own. This week in the podcast I talk to Ann Adams, who I believe is one of the best EFT trainers in the world. In our conversation we talk about the roadblocks people run into when they are tapping on their own. In her typical fashion, Ann provides very practical ways to be more effective with your tapping. Even if you are an old pro with tapping you will find ways to be more effective. About: Ann Adams’ vision is to train and mentor EFT practitioners and other helping professionals to integrate the powerful tool of EFT into their existing toolkit in the most effective way so that the work they already do with others becomes even more powerful, effective and efficient. She offers several EFT workshops per year. She’s known for her ability to explain concepts clearly and make learning new skills fun. 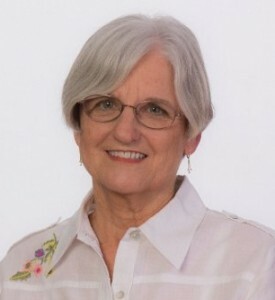 Ann is known as THE EFT Master Trainer; she is uniquely qualified to teach and mentor others. Ann has almost 40 years of experience in clinical social work, as a therapist, trainer, supervisor and administrator. Ann has supervised dozens of therapists and staffed thousands of client cases while working in the mental health field. Ann was awarded EFT Cert-Honors in Gary Craig’s EFT practitioner program. She worked closely with Gary Craig, EFT’s founder, in several EFT projects including serving as the Director of the former EFT Masters Program. It hit me while I was listening to this podcast. Why we are the way we are? who cares. This is how we are . The rest are stories we tell ourselves. So as suggested, I go to the physical sensations. The physical sensation do not sing or go along any of the stories I tell myself; As if 2 disconnected parts: the story teller, who lives in her head with many soap operas……and the body part, which feels calm, solid, in the here.